The reason as to why man people go on a trip is to get away from the usual hustles and bustles of life. That is why their priority is to make sure that they have a time of their lifetime. When you travel overseas for a holiday, you have no choice but to either use the public means of transport in that country or hire a car rental company. Both means of transport have their benefits but hiring a car rental company is better than using public means of transport. In fact, the reason many people use public means of transport is because they are cheap as compared to renting a car. However, many people fail to understand that using public means of transport can turn your trip sour. 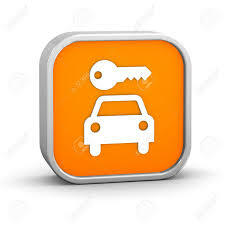 Car rental services provide pick up services. This means that as soon as you land at the airport, you will have a car waiting to pick you up and take you to your place of choice. If you decide not to use car rental services, you will be forced to hire a cab that will likely overcharge you and waste your time at the same time. When on a trip in a foreign country, you might not be familiar with the routes as well as locations that you might want to visit. You will have problems moving around, and you will likely end up wasting a lot of time. On the other hand, car rental service provides you with chauffeur driven cars. This means that the driver is qualified, professional and knows all the routes. You will save a lot of time since the driver will drive you through the shortest routes hence you will not have to worry about wasting time and losing your way in a foreign country. When you rent a car, it means that the car is at your disposal at any hour depending on the contract unlike public means of transport where you must keep up with the working hours. Car rental services enable you to have the car of your choice. This means that you are not limited to any given type or model of vehicle. If you compare the merits as well as demerits of car rental services and public means of transport, you will see that renting a car during our trip is tremendously convenient and efficient.